Steeped in tradition and adorned with the finest finishes. 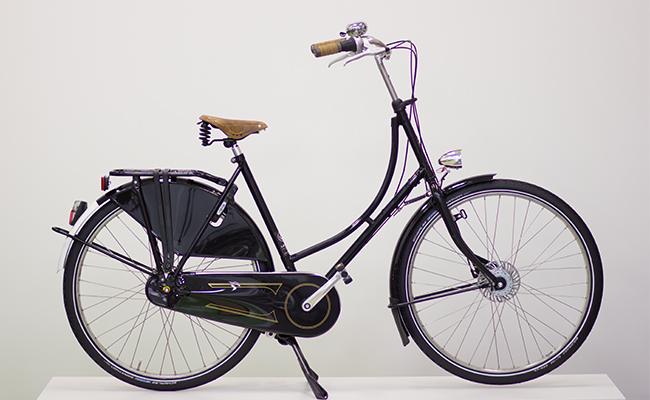 This classic Dutch Omafiets is designed for a smooth ride, pretty lines and comfortably upright position. The oma is built for durability and strength making it easy and comfortable to carry everthing you need. The Omafiets luxury is popular with both women and men thanks to its amazing comfort and handy step-through frame. 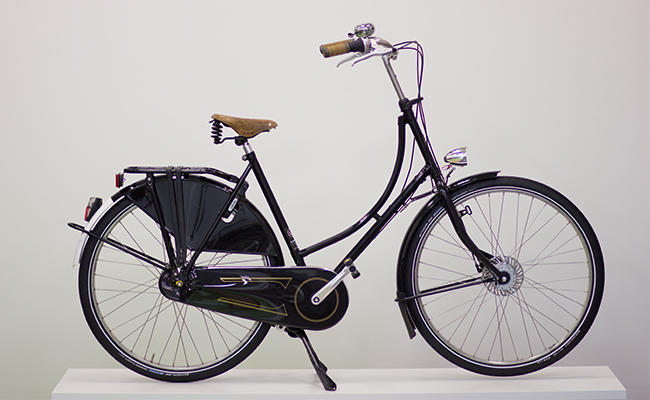 This luxury version includes Brooks leather saddle and grips, steering stablizer, automatic front and rear lights, anti-puncture Schwalbe Marathon tires and beaufiful stainless steel spokes and rims, the classic looking chaincase, as well as an ultra strong rear carrier with elastic straps.These are the exact same beautiful bikes that you will find in the streets of Amsterdam and all over Holland.